TopBike Rental & Tours | Join our team! Everyone counts. At TopBike Rental & Tours we are committed to making connections with each of our guests to create the personalized award-winning experiences that provide the bases of our continued success. In a company where clients are never numbers, neither are our employees. Every TopBike Rental & Tours employee is an important link in this chain that allows us to exceed customer expectations. In this environment, as part of a growing company, your success is our success and opportunities for advancement are plentiful for people with big ideas and even bigger hearts. TopBike’s team of bike tour leaders is expanding! Due to our company’s growing realm, we are now looking to select new tour leaders to lead memorable and unbeatable bike trips. We lead our mostly English, Dutch and German-speaking guests all over Rome offering top notch service and unforgettable moments. Our team of tour leaders play an integral role in ensuring that our guests are happy, and we only pick the best, most interesting and upbeat people out there. 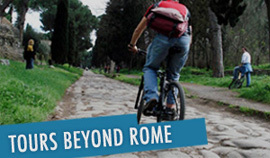 If you think you have what it takes to make a person’s tour memorable by offering them dream moments through history and art; guiding them in the safest way through Roman streets; and communicating with them in the nicest way, then we’ll give you a chance to meet someone on our team. 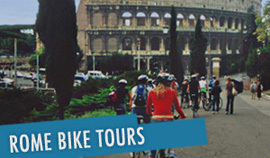 If you are interested in our bicycle tour guide positions, please send us your application together with your c.v. Potential guides should be fluent in the language of the country in which they wish to lead tours and must be intimately knowledgeable about Rome and Italy. 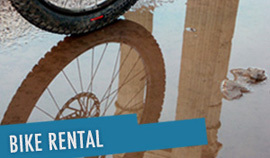 TopBike Rental & Tours is searching for a bicycle mechanic for the upcoming high-season.